New GOP Lawmakers Targeted By Lobbyists With Cash : It's All Politics Washington's corporate lobbyists are seeking out new GOP lawmakers, raising money for them. NPR's Peter Overby gave a glimpse of how the process works. Some things about Washington never change. It takes money for a politician to get here and more money to stay. Which is why corporate lobbyists aren't going anywhere, no matter how many times politicians say nasty things about them in order to curry favor with voters. In a report on Morning Edition NPR's Peter Overby gave us a glimpse at how lobbyists are making sure to get to know new members of Congress and, of course, holding fundraisers for them. 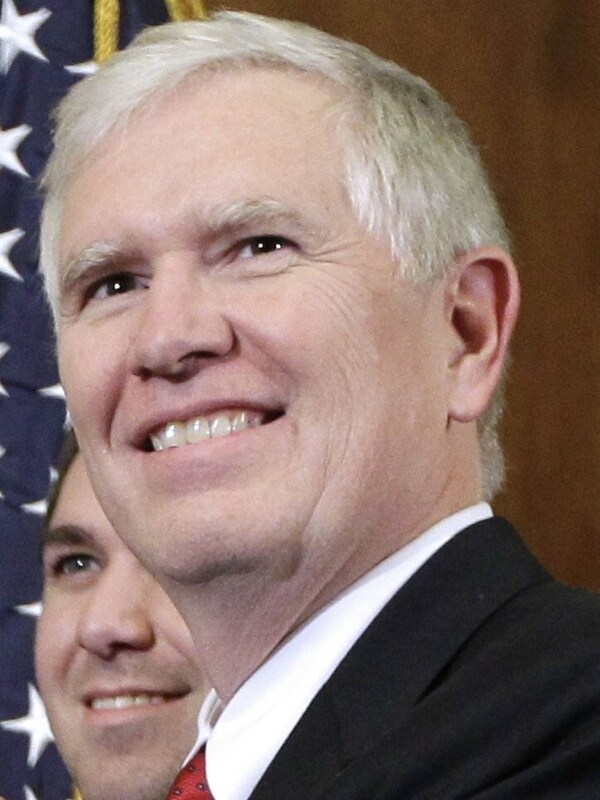 Alabama Republican Mo Brooks came off the House floor last week after casting his vote to repeal the health care overhaul. "One of the most important things I have done in my life," he said. "It's awesome, it's inspirational, it's sobering." At noon Tuesday, Brooks, 56, a former state lawmaker and prosecutor, will be at lunch with four lobbyists who would be paying $500 to $2,000 each for the privilege. Brooks isn't the only freshman doing this. Not by a long shot. But he is the one who agreed to talk about it. He said he didn't know anything about his fundraising schedule. In fact, he hadn't held a fundraiser in Washington since he was elected. "If people have started scheduling fundraisers for me, I'm thankful," he said. "But I don't know where they are, or when they are, or the specifics of whoever's putting them together for me." Here are some of the specifics: Brooks' lunch mates will most likely be from defense and high-tech firms. Those are the ones with an interest in his new committee assignments on Armed Services and Science, Space and Technology. He has eight fundraisers on his calendar between now and March 29: breakfasts, lunches and a couple of happy hours. All of them limited to four, five or six paying guests. In his report, Peter mentioned the Sunlight Foundation watchdog group which, true to its name, is trying to shed light on these fundraisers on its Party Time site. And he cites something Ellen Miller, a Sunlight co-founder says. She calls the fundraising process "the Washington-ization of the Washington outsider," Peter tells us. That's exactly right. So long as money remains the "mother's milk of politics" in one California politician's famous words, lawmakers will continue having face time with lobbyists over fundraisers.